In his 1973 campaign Coleman A. Young pledged to eliminate a troubled police decoy unit, S.T.R.E.S.S (Stop the Robberies and Enjoy Safe Streets). Officers worked as decoys, with a mission of luring criminals. The unit was accused of killing 22 residents and critics said it arrested hundreds of people without cause during its 2 1/2 years in existence. After Young took office in 1974, he eliminated the unit and worked to integrate the police department. 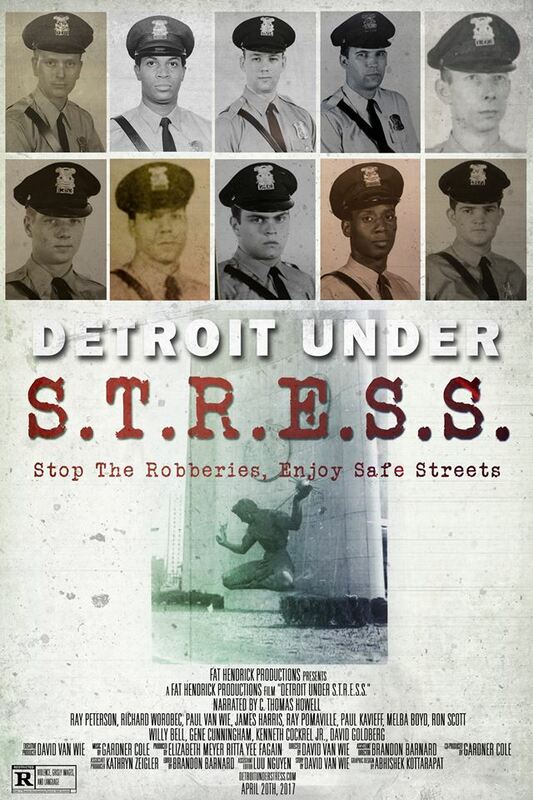 Now, filmmaker David Van Wie, a Michigan native whose father Paul worked in the unit, has produced a documentary titled: “Detroit Under S.T.R.E.S.S," reports Nick Nolan of the Sault News. The film, which has interviews with former cops in the unit including his father, will play next Friday at the Soo Film Festival at 7:30 p.m. in Sault St. Marie in the Upper Peninsula. It will be shown Oct. 14 at the Royal Starr Film Festival in downtown Royal Oak from 3-5 p.m.
Van Wie grew up in Michigan. The family moved to Phoenix when his dad left the force for a new career path. After a while, his father began to reveal more about his time with S.T.R.E.S.S. and Van Wie figured it was too good a story not to tell.